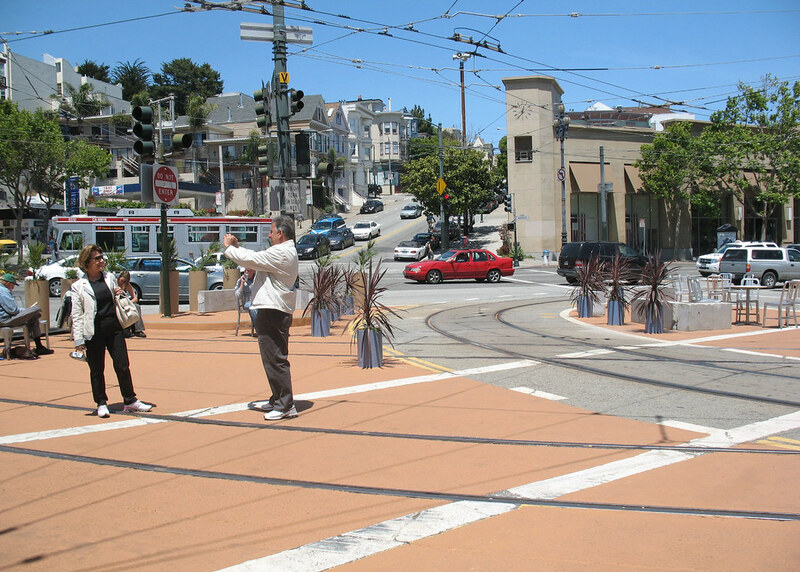 A pedestrian plaza built and dedicated to Jane Warner. 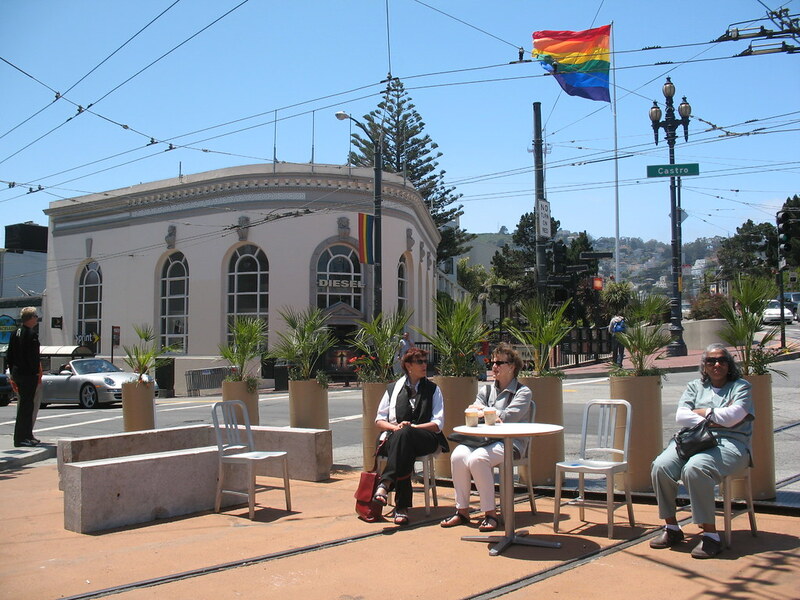 On November 7, 2010, the Plaza called “Castro Commons” was officially dedicated to Jane Warner with a commemorative plaque and a ceremony. 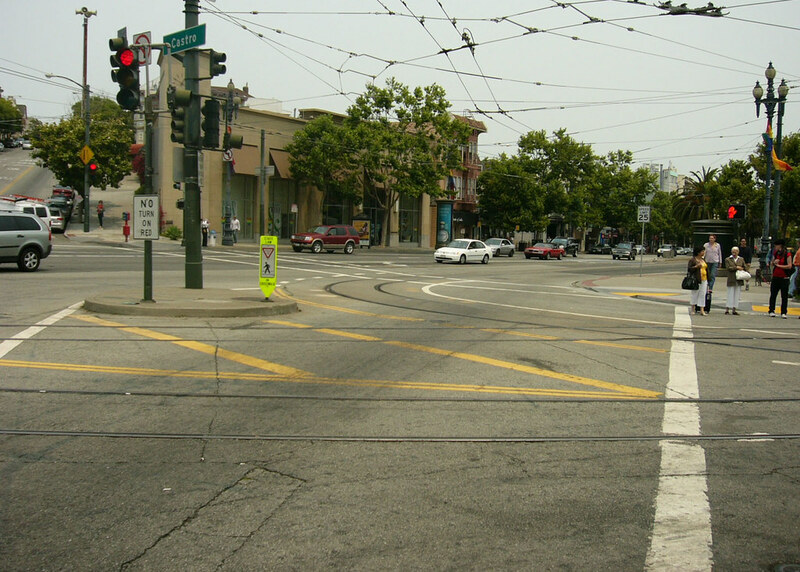 Jane spent two decades keeping the peace in the city’s Castro, Noe Valley and Mission neighborhoods as a San Francisco Patrol Special Police Officer. 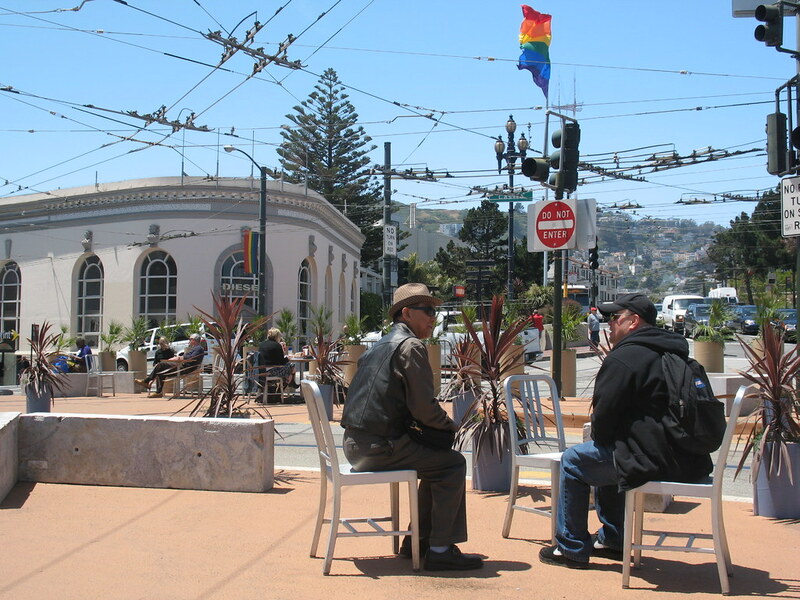 After an initial trial from 2009-2010, the Jane Warner Plaza was upgraded using grant funds awarded to the Castro/Upper Market Community Benefit District. 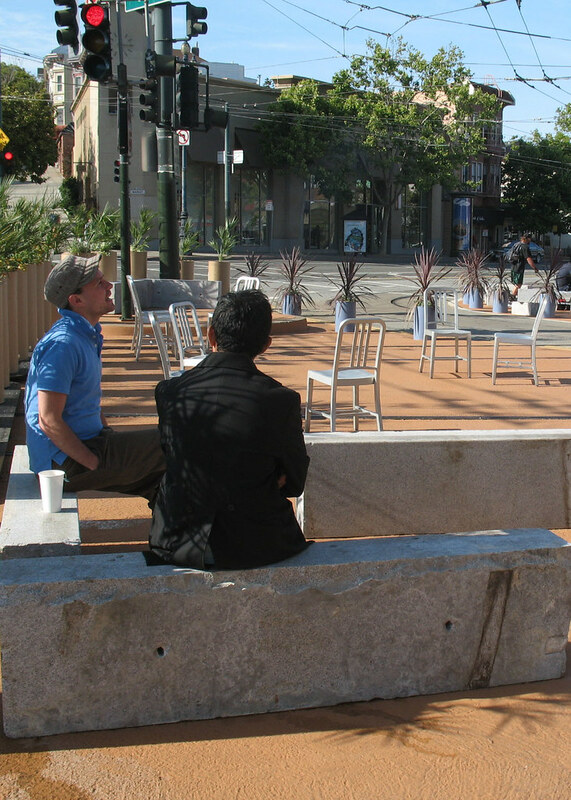 The now permanent plaza provides a greater sense of enclosure, more seating, and more greening opportunities. 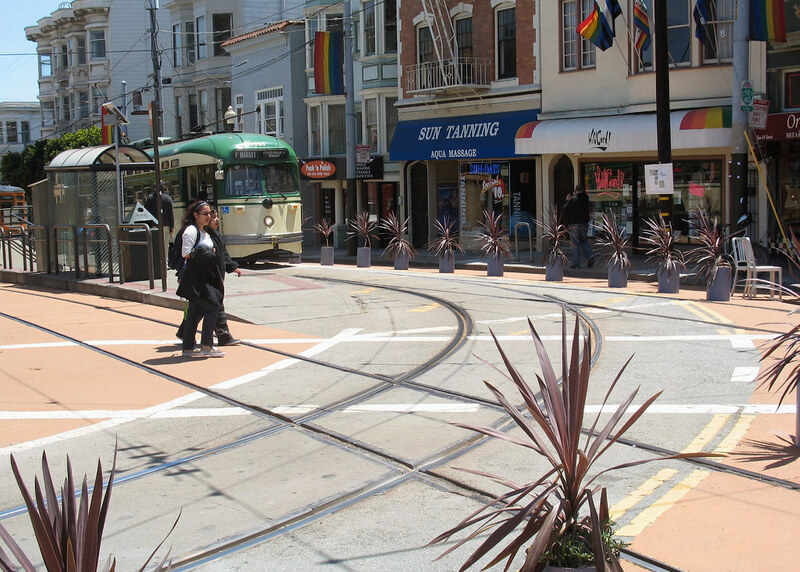 The space hosts a beautiful palette of low-water, wind tolerant plants, including a variety of palms, olives, and succulents. 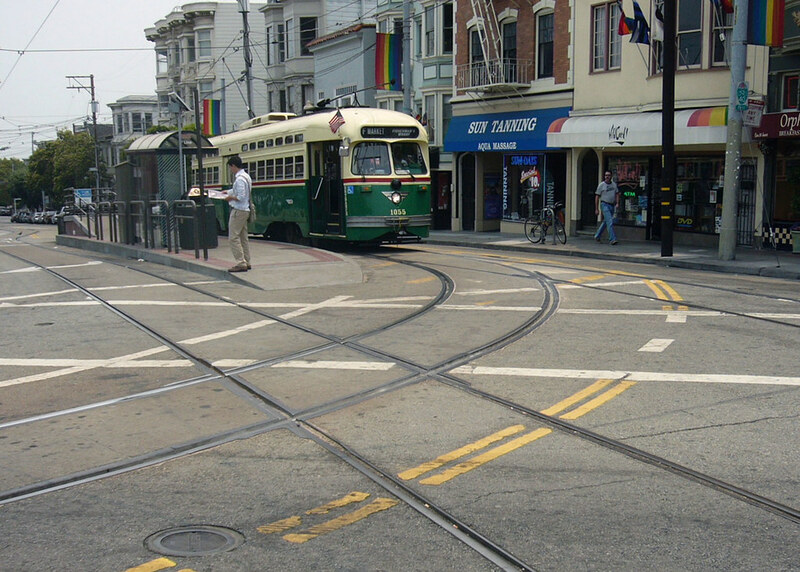 One of the most unique features of the plaza is the presence of the historic Muni F-Line streetcar trains. 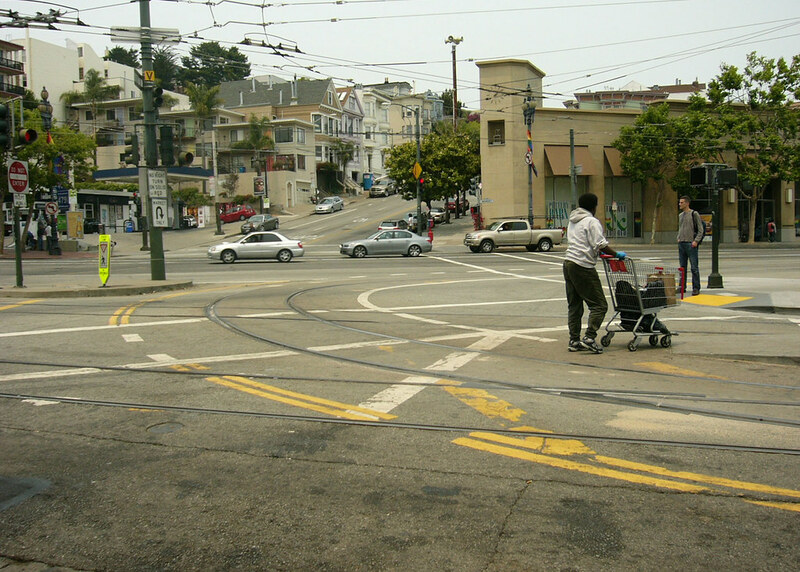 The colorful trolleys provide a unique kinetic element to the space as they turn the corner and head down Market Street and onward to Fisherman’s Wharf. 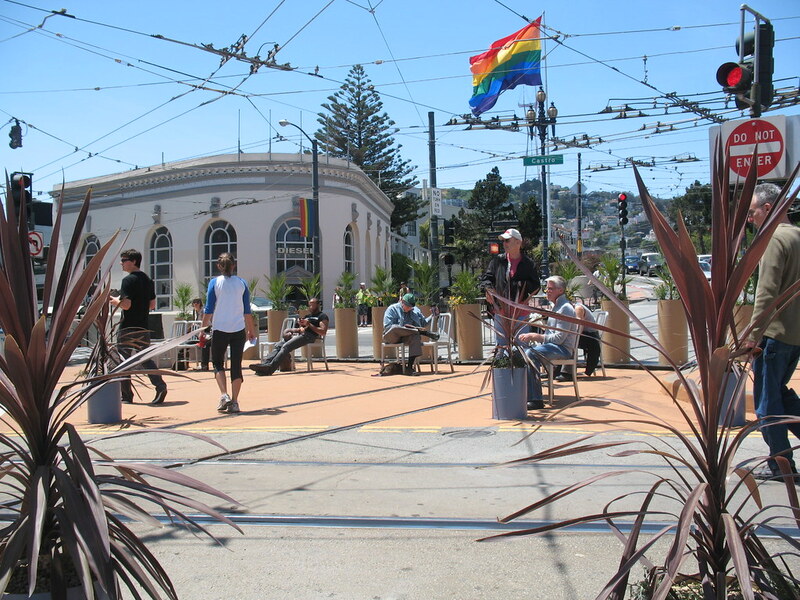 The plaza now serves as a pedestrian friendly terminus to this route and creates a much more welcoming front door to the world-famous Castro neighborhood. 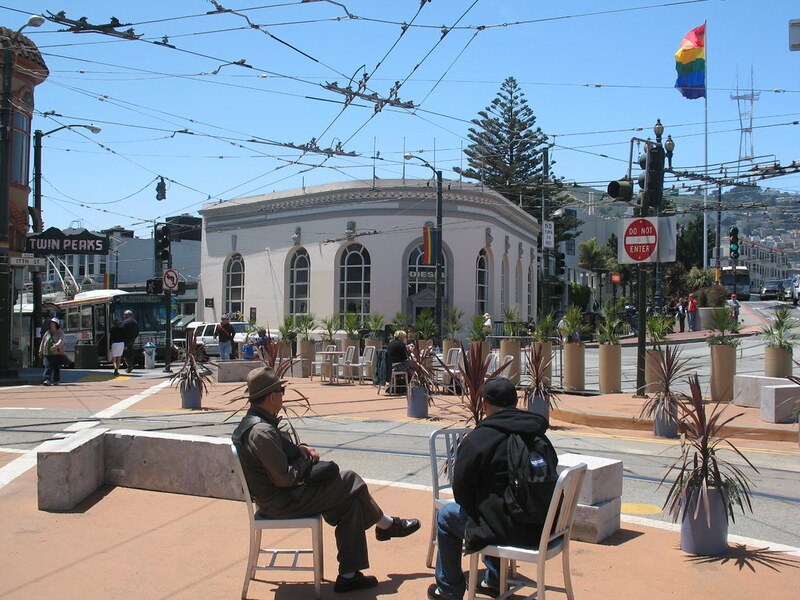 From the plaza, visitors riding the F-line can now comfortably disembark the trolley without worry of speeding traffic, orient themselves, snap a photo with the landmark Pride Flag or Castro Theatre marquee in the background, and set off on an exploration of the Castro neighborhood. 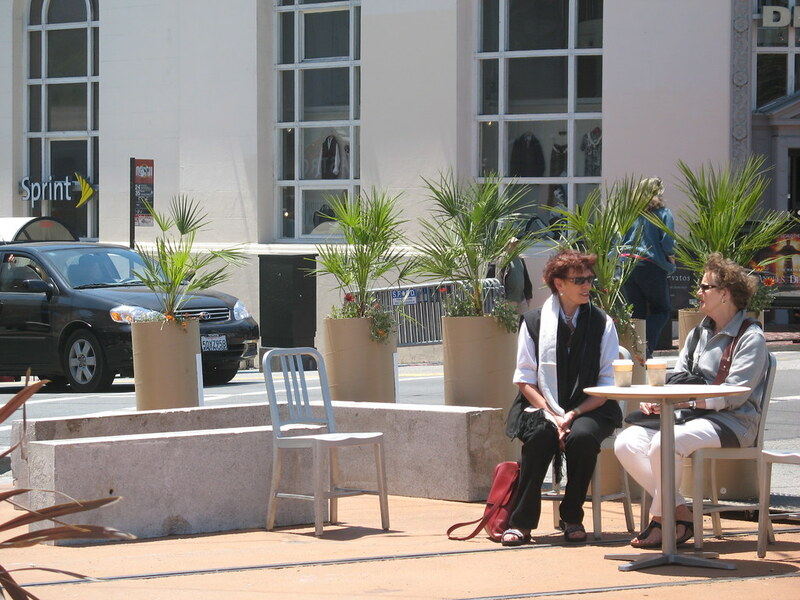 In addition to special events planned by the CBD, the plaza’s moveable seating allows for a wide flexibility of use. 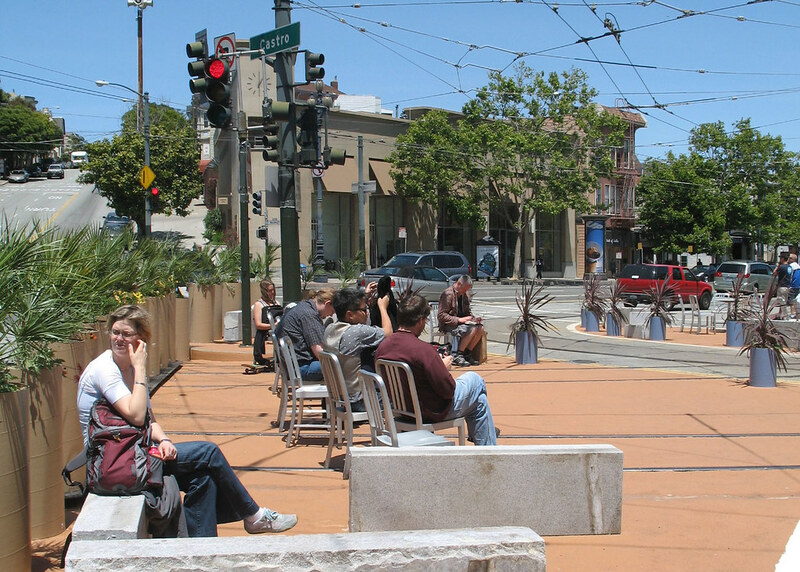 From the morning till late evening dozens of people can be found using the space to people watch, relax, walk their dog, meet a friend, or enjoy a bite to eat.